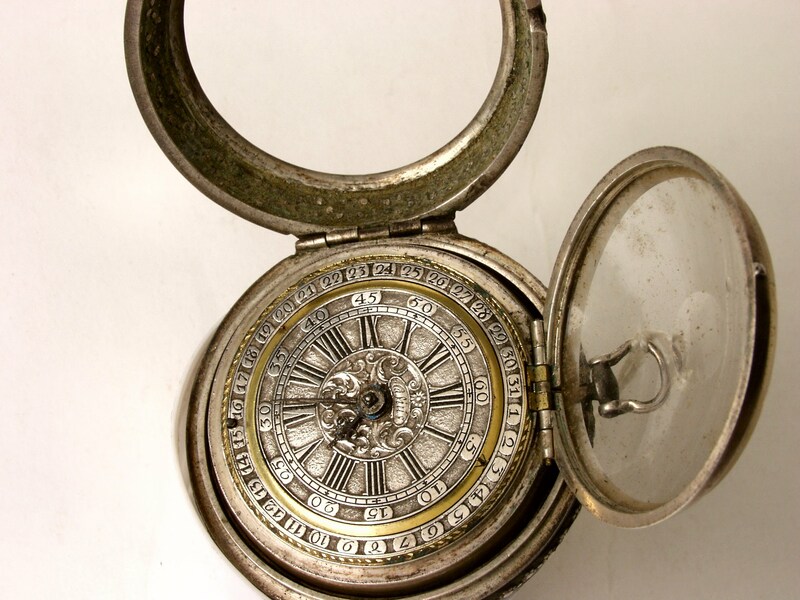 This unique silver and tortoise-shell pair cased verge watch, plays an essential part in George Ruthven's story in The Cato Conundrum . It was crafted by Isaac Hasius, Haarlem, 1690-1700. Permission was kindly granted by Francesca Balzan, Curator of the Palazzo Falson Historic House Museum Collection in Malta to use this image which is their copyright.